One of the league's top offensive lineman could be heading East. 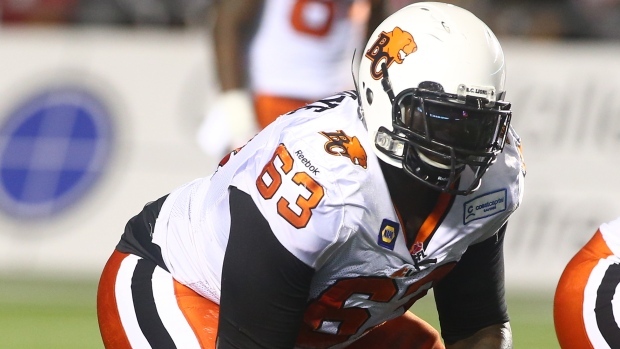 According to TSN's Farhan Lalji, the BC Lions are in trade talks with the Montreal Alouettes to send All-Star offensive tackle Jovan Olafioye to the Als. Olafioye, 29, has spent his entire seven-year career with the Lions. The North Carolina Central product has been named a CFL All-Star the past six seasons, a West Division All-Star the past seven seasons, and took home the league's Most Outstanding Offensive Lineman award in 2012.